Another month passed already? Well, I guess it has. I'm at home these days and slowly working to improve my sleep deprivation - hyperactive Trill symbiont in my womb, anyone? 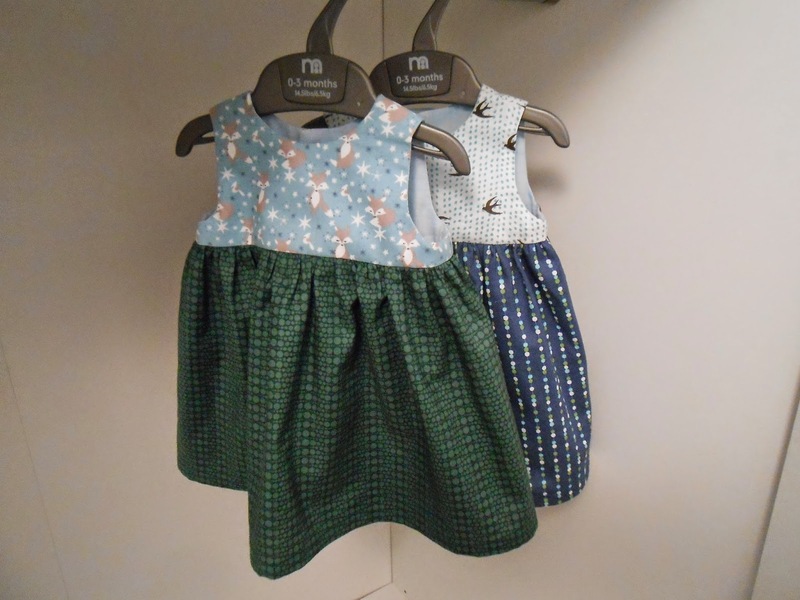 - as well as preparing in-depth for the little one's arrival. Both weren't really feasible tasks while I was still working, so even though I do miss seeing the colleagues I'm happy to spend my days sleeping, reading, sewing, cooking, and having lots of much-needed breaks. Which means finally adding me-made things to the wardrobe. Yay! 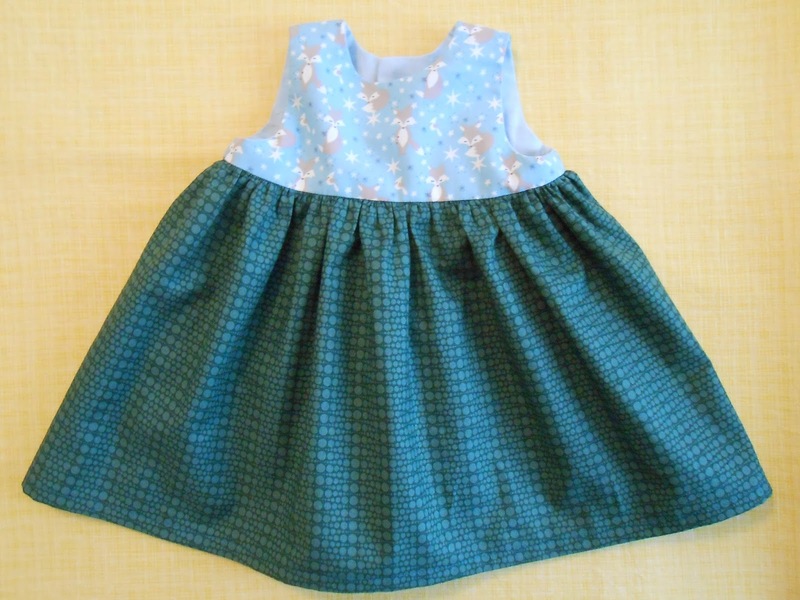 Rae's Little Geranium dress comes together quickly and easily but you still need time to actually sit down and sew. D'oh. I'm so in love with both versions but decided to ditch the pockets. Very cute-yes, the sleep certainly lacks at the end of pregnancy, and the beginning of a newborns life, but then it all seems to fall in to place and become a routine. 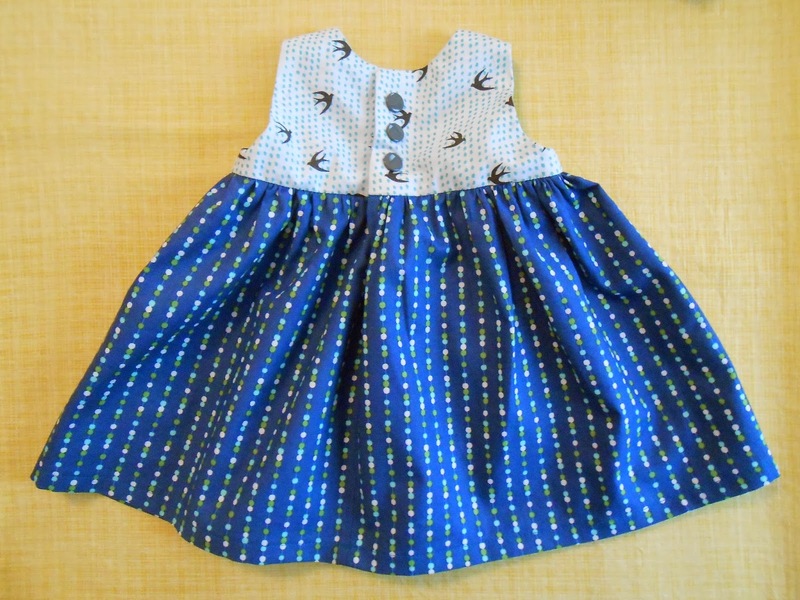 How exciting to be sewing for your own baby! 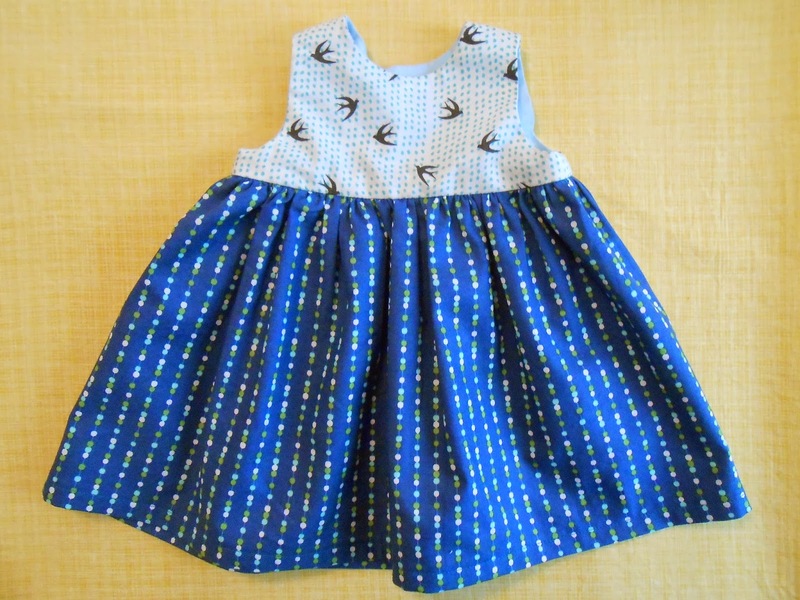 Cute pattern, the prints are very well-suited and perfect for a little woober. 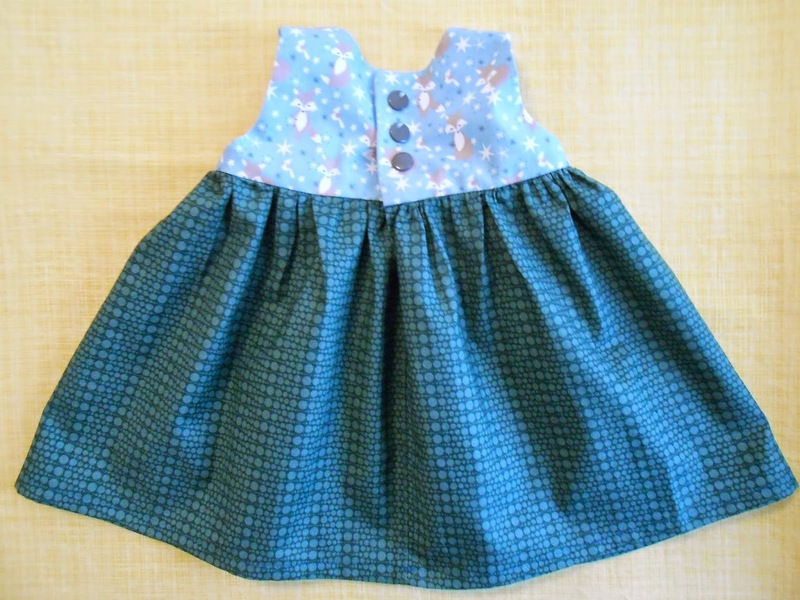 Adding a onesie with sleeves takes it into a cooler location without upsetting the cute-i-tude of the dresses; tights could do the same now that I think about it. (it's three in the wee hours here-i'm a bit slow!) Did you create the pattern? Your choice of the three buttons is perfect, too. Ah, sleep deprivation, tell me about it! The longest sleep I've had since Friday night is 2.5 hours. Oh well, I suppose I do have a cute little baby to keep me company!